To find out how, she should refer her question to George W. Bush. The president has been at pains to draw parallels between himself and Ronald Reagan. But he still refuses to answer the Reagan family’s request to modify the limitations on stem-cell research he created by executive order in the early days of his administration. In August 2001, Bush restricted research to 78 existing stem-cell lines — the majority of which, researchers say, are damaged and unusable. As the Philadelphia Inquirer suggested in its Wednesday editorial, encouraging stem-cell research would allow Bush to honor Reagan properly. “He should approve broader federal funding of embryonic stem-cell research. And he should do it right now. Leadership means looking your political base straight in the eye and telling the truth. In this case, the president needs to sit down with members of the religious right and talk to them about stem cells in “sanctity-of-life” terms. He needs to tell them that the number of lives waiting to be saved really does matter. Abortion, the lightning rod and the litmus test of all things conservative, is being used and abused in this debate. 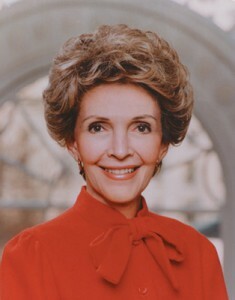 Thanks in large part to Nancy Reagan, the stem-cell debate has been reopened in a bipartisan spirit. Now we’ll see how Bush truly honors Ronald Reagan, his self-proclaimed hero.